Something as simple as a couple steps can be very difficult to maneuver if you’re in a wheelchair. 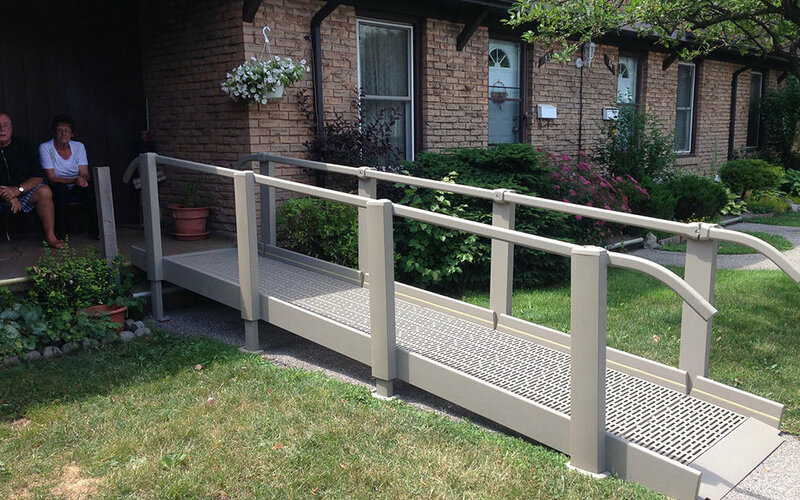 At Mobility in Motion, we have a wide range of economical, semi-permanent wheelchair ramps in Goderich that can be easily installed at your home. Whether it’s a rubber ramp just for your doorway threshold or full modular ramps with handrails, we can help make your home easier to access. The traction on the aluminum ramps will help you stay safe during rainy weather. Feel safer in your home. Call one of our offices in Ontario for more information on ramp installations.